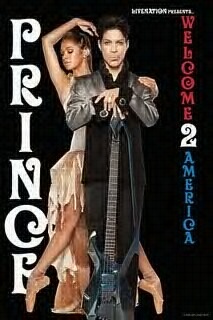 Both dates for Prince’s Welcome 2 America tour at Madison Square Garden sold out in less than 30 minutes. 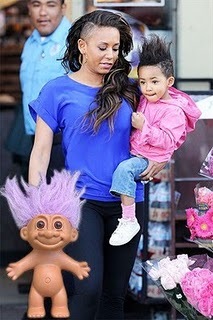 Mel B explains why Angel Murphy’s hair resembles a troll doll. MEAT………….. The whole thing, MEAT?!?! Lady Gaga claims she has been having trouble being “over the top,” but her dress made of meat was nothing short of shock-worthy at the 2010 VMAs. Her meat dress caught the attention of many, including vegetarian Ellen Degeneres. It turns out the Gaga’s outfit ruined the plans of several VMA attendees. How was she not surrounded by flies? 12 MILLION DOLLARS for 1 year………………..Im available! Jennifer Lopez has signed a 1-year deal with “American Idol” for “a little more than $12 million” (she asked for 15mil). She will be joining the judges’ panel for the 10th season of the network’s ratings giant. Or is Mariah gaining weight again? Mariah Carey, who hasn’t been seen in months, arrived in Sao Paulo wearing a long flowing dress and a sweater. A sweater. In Brazil. In August. Beyonce Knowles takes the top spot on the Forbes Best-Paid Celebrities Under 30 list for the second year in a row. She raked in $87 million over the past year. Alicia Keys and Swizz Beatz’ wedding is going to be featured in the next issue of Life & Style magazine. Click the picture to get to the radio station! My City get’s it Poppin! 305 ya heard ! ! ! You think he’ll fish it out? 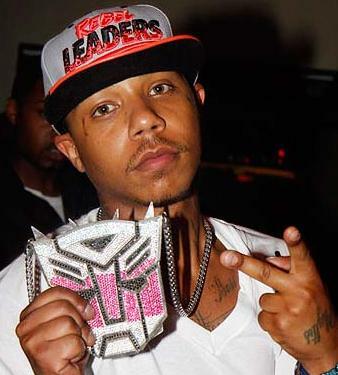 Some guy threw Young Burg’s chain in a lake, what you think, they gonna find it?